The legendary producer and Chic guitarist has had a hand in countless songs and albums; here are just a few reasons you should know his name. 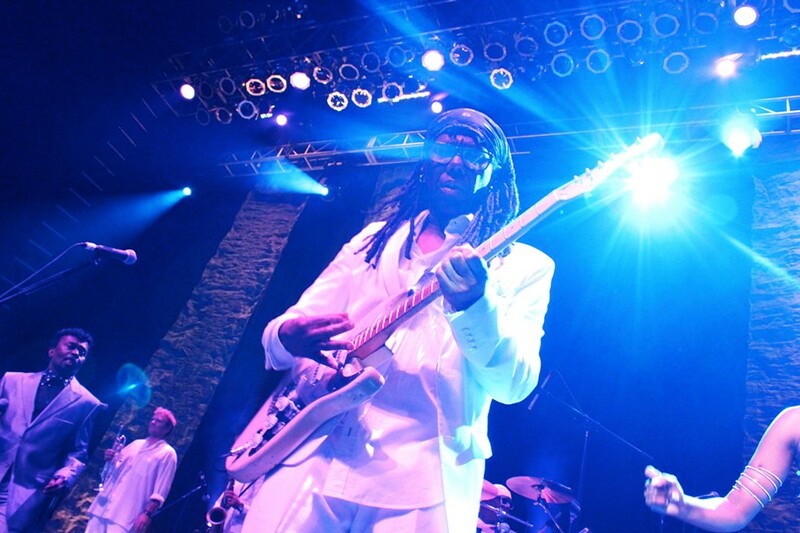 Nile Rodgers and and bassist Bernard Edwards co-founded the badass, funked up disco band in the mid-‘70s, giving music-lovers timeless dance hits like Grammy hall-of-famer “Le Freak” and the oft-sampled (see: “Rapper’s Delight”) “Good Times.” Chic remains a relevant fixture, releasing its latest in 2015, and has been heralded as one of the most sampled bands in the world. Without Rodgers’ genius we wouldn’t have Diana Ross’s iconic jam about feeling herself, and without “I’m Coming Out,” Biggie’s “Mo’ Money, Mo’ Problems” wouldn’t have been such a banger. That funky Bowie classic from 1983 has the Rodgers stamp of approval all over it—he produced the timeless track that’s now and forever a failsafe for getting folks to do exactly what its title says. The hooky/risque title song from Madonna’s 1984 album—one of her biggest hits, ever—was touched for the very first time by the production powers of Rodgers. Actually, he produced the entire album (which includes songs like “Material Girl” and “Stay”) and enlisted his dance-making bandmates in Chic to play on much of the record. There are hints (and blatant blares) of throwback funk all over top 40 radio, and Daft Punk’s 2013 hit record is a huge reason for that. The vibing staccato guitar chords that Rodgers made famous in the ’70s were brought back to the mainstream with his appearances on “Get Lucky,” “Lose Yourself to Dance” and “Give Life Back To Music”—three of the album’s best. With his lengthy resume of producer credits, the whole world’s heard Nile Rodgers in some form, but the Daft Punk collab helped bring his name to a new generation. Rodgers is the founder of FOLD, AKA Freak Out Let’s Dance Festival. The acronym alone is dreamy enough, let alone the details. With summer shows in both London and New York, FOLD’s a playlist of diverse hitmakers and their most popular dance tracks curated by the legend himself. Last year featured Beck, Janelle Monae, Duran Duran and Pharrell.